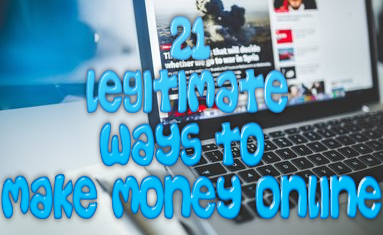 There are way too many scams out there today when it comes to finding ways to make money online. There are so many that in fact it is just getting ridiculous. Start-quiz.com is yet another program that was brought to my attention only recently and after looking at it I started to see some similarities between this program and other scam programs I had the pleasure to review. So without further ado, here is my honest Start-Quiz.com review. According to this program, you are able to earn up to $200-$250 by taking several surveys. 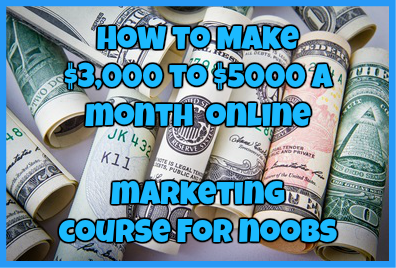 However, the real money that can be earned is within the Start-Quiz.com affiliate program where you can earn up to $35 per referral. That sounds absolutely amazing doesn’t it? If only the opportunity was true…. YOU WON’T GET PAID FOR YOUR EFFORTS!!! Why Do I Think This Is A Scam? Well, just look at the facts. If you look at the owner’s record on scamadvisor.com, he has followed the same exact pattern with other website he has promoted. Website IP is based in Ukraine, but is using an IP address changer to make it seem as if the website is based in Australia. Many of the same sites create by this individual has been known not to pay its affiliates in the past. Even ScamAdvisor.com gives this website a trust rating of 0%. When it comes to terms of content, this website is as basic as it gets. There is not a lot of content on any of the pages which sends off a bunch of red flags right away. Also the supposed “survey” is nothing but a simple video that you have to watch. It is just too basic and I’m sorry, I’ve been working online for so long that I can tell this is a scam website the moment I see it. What Are Other’s Saying About Start-Quiz.com? Well, you will not find other people commenting much about this website simply because I don’t even know if people have come to the realization that it even it is a scam. However, I am here to warn others about the same pattern this scam artists has made before and to warn others that they will not get paid for their efforts. This is definitely one program that I know is going to screw you over right from the get-go. In my honest opinion, you will not get paid, but you are also going to be wasting a lot of your time and energy on a program that won’t pay you for your efforts. If I were you I would save my time and energy and actually work to promote a program that will actually pay you. Have you fallen prey to Start-Quiz.com? If so tell us about your experience in the comments section below. I would love to hear from you! ← Survey Major.com Review: Will You Make $$$ By Taking Surveys? I decided to try out this one to see if it’s a scam or not. I just started yesterday, so I will post my results when I am finished. So far, it says that you get paid after you make $1,000. And, so far I have made $18/survey. I am almost to $250. The surveys are very short and feature Gucci, Online Games, Mazda’s and other cars and colognes. Alright but just brace yourself for the worst which is not making a cent.